With decades of experience, our staff is committed to providing the very best in senior living. And though our executive team guides the organization, our entire team—from health resources, to enrichment staff, to housekeeping—is integral to our operation. We’ve wrapped our organizational levels around the seniors we serve, intentionally creating a seamless, open-department structure that fosters low staff turnover and a positive professional climate. Every member of our staff touches our residents’ lives—so each is truly critical to our operation. Bill served both as a Trustee and Chair of the Wentworth Senior Living Board of Trustees for nine years prior to his appointment as President and CEO of the organization in 2011. He has nearly 30 years of experience as a senior executive in the banking and insurance industry. 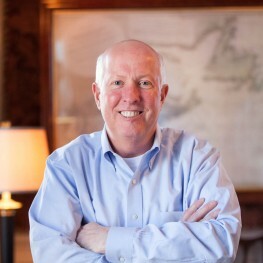 He first served as a member of the Executive Management team of Granite State Bankshares, Inc., and Granite Bank, and later as President of Whaleback Associates, a consulting firm he founded which specialized in providing strategic advice to both for-profit and non-profit management teams and boards of directors. As a Portsmouth, NH native, Bill finds tremendous value in civic involvement and has participated in and supported the function of many organizations related to the health and well-being of area seniors. Bill was a Trustee and served as Treasurer and Chairman of the Board of the Foundation for Seacoast Health from 1994 to 2003, and was instrumental in the development of the Community Campus, where a number of non-profit organizations currently offer support services to residents of all ages. Suzanne has been with Wentworth Senior Living since 2002 after graduating from the University of New Hampshire with a Bachelor’s degree in nursing. As a registered nurse, she finds working with seniors to be the most rewarding. She holds a master’s degree in healthcare administration from Southern New Hampshire University. As Wentworth Senior Living’s Administrator, Suzanne oversees the daily operations of the organization to ensure compliance with all state and federal regulations. In her role as VP Health Resources, she works closely with the nursing and enrichment teams to ensure that the Wentworth Senior Living mission, and our commitment to providing the highest quality of service, is upheld. Nancy joined Wentworth Senior Living in 2011, first as Controller and now serving as VP Financial Services & Technology. She is a Certified Public Accountant with over 30 years of experience in the accounting and finance fields. Her background includes a bachelor’s degree from Babson College in business management with a concentration in accounting, and over 10 years of public accounting experience. She has worked in various industries over 30 years, gaining invaluable business knowledge. She volunteers for various civic organizations in her hometown and spent more than eight years as a volunteer EMT in her local fire department. 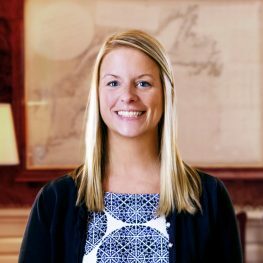 Olivia Korpi joined Wentworth Senior Living in 2016 following 8 years of working in the healthcare and community relations fields in Portsmouth, NH. 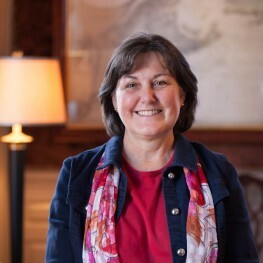 In these roles, she has collaborated with the Portsmouth Senior Center, The Alzheimer’s Association, local AARP businesses, and Health and Human Services of NH. 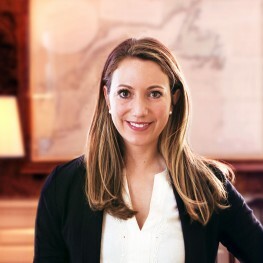 Olivia completed her BA as a double major in Human Development and Psychology at Connecticut College, as well as becoming a graduate of Leadership Seacoast in 2010. As a trained Personal Care Assistant, she is acutely aware of the daily needs of seniors and is passionate about helping families find solutions to honor and encourage safe independence of seniors. As Assistant VP of Marketing and Admissions at Wentworth Senior Living, Olivia will continue her involvement in the community while representing a facility that embodies resident-focused service. Teri began her nursing career at Wentworth Senior Living in 2010. 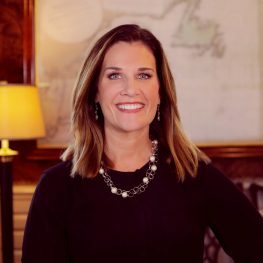 After graduating from the University of New Hampshire with a bachelor’s degree in biology, Teri obtained her bachelor’s degree in nursing from The Massachusetts College of Pharmacy and Health Sciences. In Teri’s role as Assistant Vice President of Health Resources, she oversees the entire nursing team and all the healthcare needs of the WSL community. Kristen Collins joined Wentworth Senior Living in 2018 as the Assistant Vice President of Human Resources. Over her 18 years in the Human Resources field she worked at George J. Foster & Co. Inc., Aroma Joes Coffee, and most recently at Federal Savings Bank. 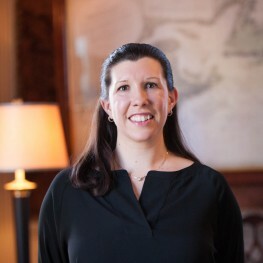 Kristen graduated with a Bachelor’s degree in Business Administration with a major in Management from the University of Maine in 2000 and is currently serving as a board member for Community Action Partnership of Strafford County. Kristen has a passion for helping others and sought to join an organization, like WSL, that embodied the most important aspects of Human Resources: trust, integrity, communication, and respect. Build a career where you’re valued. View positions.